May 10, 2015  The jazz pianist is celebrating his birthday with a pair of new releases, one of which documents how his creative process plays out in front of live audiences. 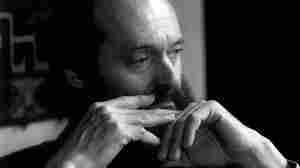 June 2, 2014  The Estonian composer's contemplative yet powerful music has found popularity beyond the borders of classical music. He's making a rare appearance in the U.S. to attend a festival of his music. December 3, 2013  In 1986, the iconic jazz pianist experimented with drums, bass and electric guitar in his home studio. Decades later, he's finally released the tapes. Reviewer Banning Eyre says that on No End, Jarrett seems to cherish rediscovering a side of his younger self. May 27, 2013  Four years after it was recorded live in Lucerne, Switzerland, an album of six standards called Somewhere is finally getting a proper release. May 31, 2012  The great jazz drummer is celebrating his eighth decade all year by touring the world and releasing a new album. 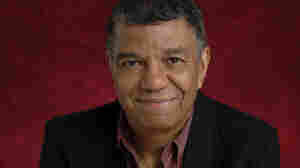 Here are five songs, from 1966 to the present day, which showcase DeJohnette at the top of his powers. November 14, 2011  The pianist says it's not getting any easier for him to perform unaccompanied — that it's both liberating and incredibly risky. 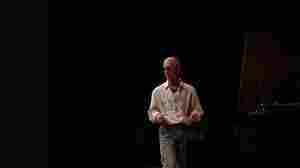 But he says his new improvised solo recording, made in Brazil, is one of the best he's ever made. May 21, 2010  After three decades without a collaboration, the jazz legends have teamed up for a new record called Jasmine. The piano-and-bass duo recorded the album in Jarrett's home studio, channeling the standards with innovative improvisation. September 4, 2009  Following Jarrett's stellar performance at Carnegie Hall in 2005, Marian confronted the elusive performer and convinced him to put in an appearance on her show. Hear an interview and performance. 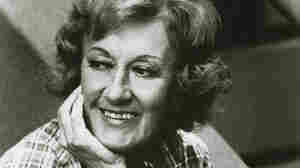 June 23, 2008  Marian McPartland, world-renowned jazz pianist and host of NPR's Piano Jazz, thought that an all-time favorite song list was impossible. Here, she offers her current Top 5: the songs and recordings that she's listening to right now. June 28, 2007  Marian McPartland cornered Jarrett after his Carnegie Hall concert and asked him to guest on Piano Jazz. 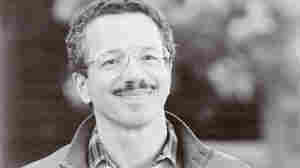 December 26, 2006  It has been 30 years since Keith Jarrett released The Koln Concert, a recording of solo piano improvisations that has sold over 3 million copies — far more than most jazz records. 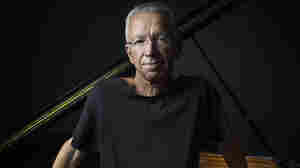 It was a breakthrough for the 60-year-old pianist and composer, who studied classical music in his youth and got his start playing jazz with Art Blakey, Charles Lloyd and Miles Davis. After the success of Koln, Jarrett began doing regular solo concerts. But in the late 1990s, a battle with chronic fatigue syndrome forced him to rest at his home in rural New Jersey. Last September, the pianist performed at Carnegie Hall. The concert became a two-CD set. Tom Moon has a review. October 11, 2006  A collection of miniatures brought to life via multi-tracking, Spirits finds Jarrett using a total of 18 instruments to bring simple, sometimes folk-song-like melodies to life. He plays everything himself, including hand drums and soprano saxophone. 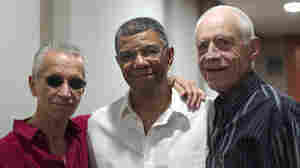 October 5, 2006  Keith Jarrett is known in the jazz world as one of the greatest living improvisers. He talks with Tony Cox about connecting with audiences while making up live music. May 18, 2005  Remembering lost L.A. with Ry Cooder; 'Bohemian Rhapsody' retooled by Grey Delisle; A new vocal recording from Brian Eno; Legendary jazz pianist Keith Jarrett and more.